temperature and time of cure. Mold to dimensions; parts cannot be “sprung” after they are molded. Use stress formulas valid for fiber-reinforced plastics. Know the conditions of use. Consider effects of the molding procedure. Use sandwich construction for maximum strength-to-weight ratios. 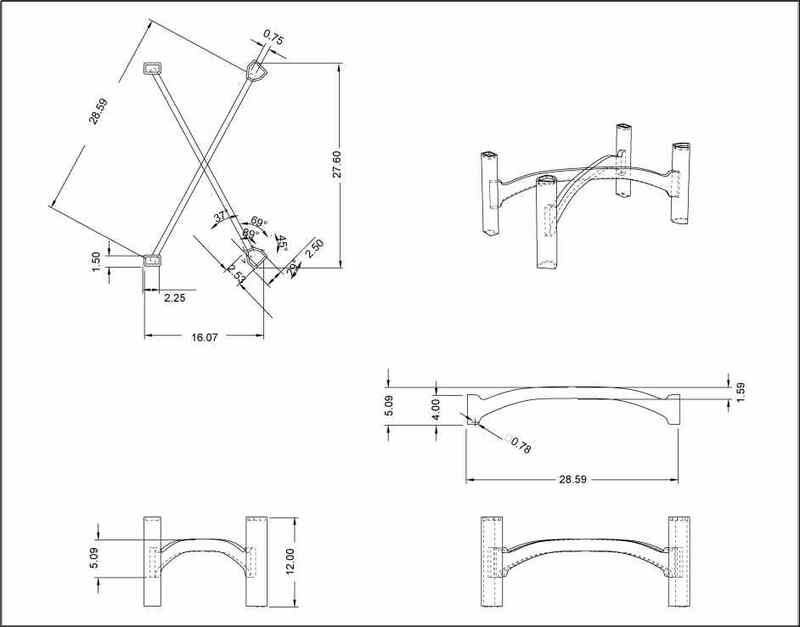 To increase rigidity in stressed areas: a) increase the glass loading, b) use unidirectional reinforcement where practical, c) place flanges and lips on edges, d) use ribs, corrugations, beads and dimples, e) increase wall thickness, f) use curved sections rather than flat areas where possible, and g) use sandwich construction. Consider use of molded-in holes. Design to practical dimensional tolerances.